"Everytime I go to B&C, they outdo themselves once again. I appreciate so much how they go out of the way to make my life easier when I have a car problem. They are the greatest!" Most people find buying second-hand vehicles to be more practical. It is thriftier spending on a car that is only half, or even a quarter of the price of the latest car model. Considering that vehicles are already a necessity, most people are not that picky in finding a posh car. Time and comfort come first. Getting to their destination immediately and comfortably are their top priorities. But getting a second-hand vehicle is not that easy. One should be more particular in looking for a quality second-hand vehicle. In buying a second-hand vehicle, it is best that you ask for a proof that a 60K service has been done to the vehicle. This will assure you that the vehicle that is in good running condition. 60K service is done every 60,000 miles to ensure that everything about your vehicle is well-maintained. 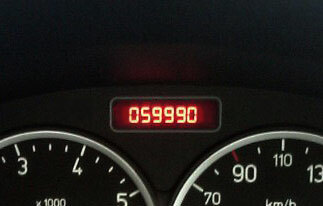 Some car owners sell their vehicles before reaching the 60K mark so it is best to ask for a 60K service proof. Or if not, buyers should be prepared to shell out a decent amount of money in availing of the said service. Nevertheless, it is best to be driving a second-hand vehicle despite being its “second” owner. If you need 60k mile service in Willow Glen San Jose simply call the professionals from BC AutoCenter. For more than 42 years we provide top quality service to the residents of San Jose.